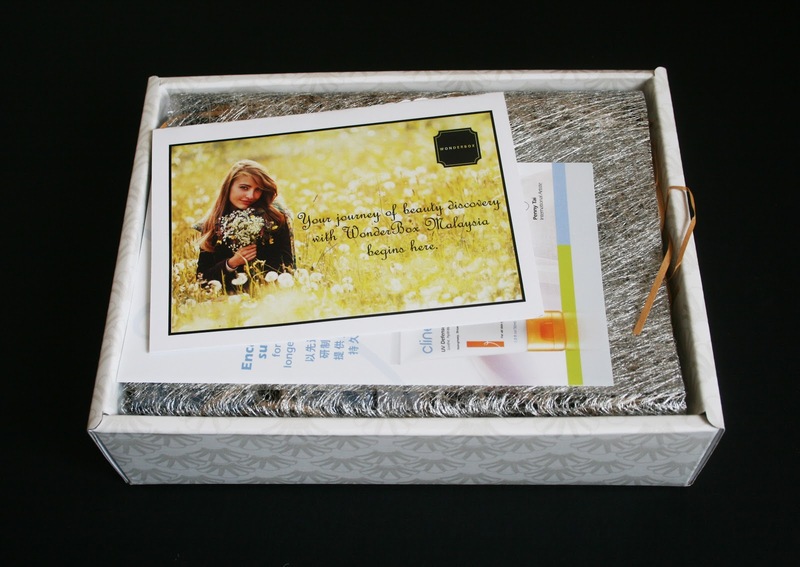 Beauty boxes have always been a craze in the USA and UK. I've heard about it first when Michelle Phan (YouTube beauty guru no.1!) made a reference to it during a video. Search up YouTube and Google and you'll find plenty of blogs reviewing each beauty box every month. 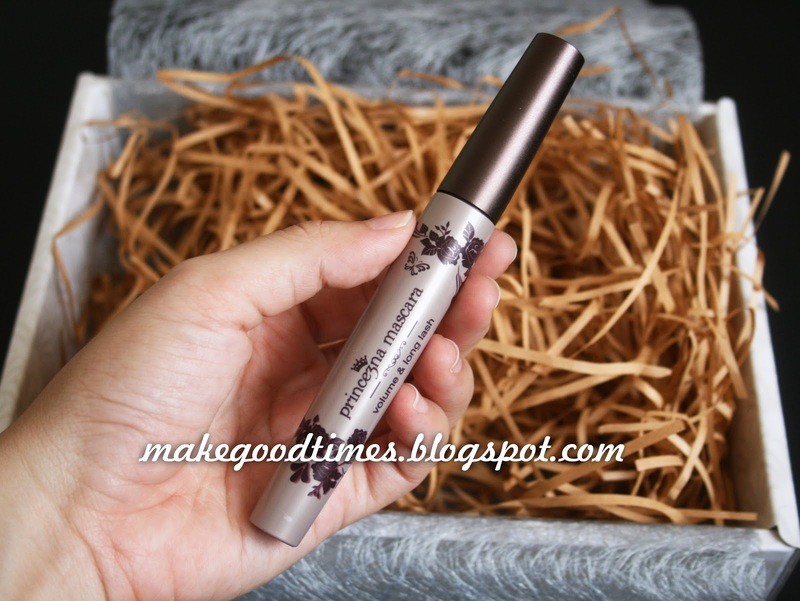 ♥ So what is a beauty box? It's kinda like giving yourself a surprise gift every month! 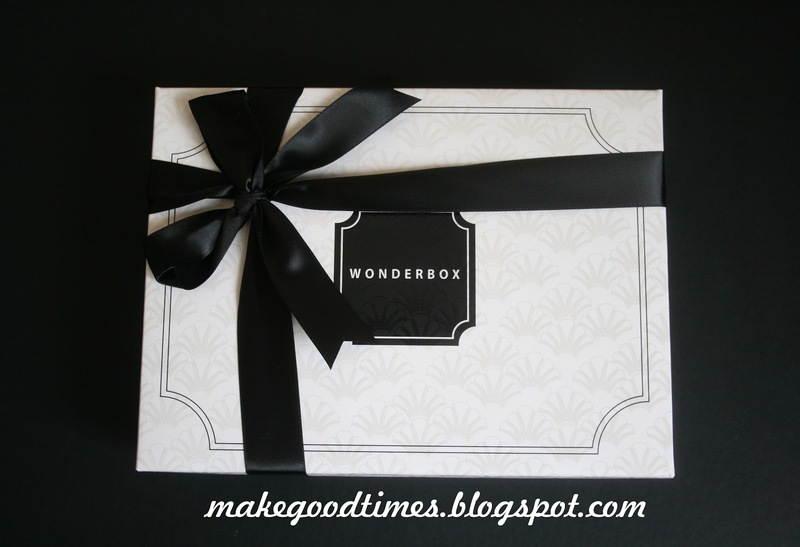 WonderBox is all about discovery, it is about discovering your true beauty and about discovery of products that will help bring out the best in you. With your subscription to WonderBox, you will receive an exclusively curated WonderBox filled with up to 5 samples of premium cosmetics and beauty products every month. From the comforts of your home, you will be discover the wonders of the latest fashion and beauty trends, thanks to our collaboration with the experts from the top brands today. Mine arrived today via GDex courier. Oh wow. This package is pretty BIG, heavy and thick! I love how simple and classy it looks. 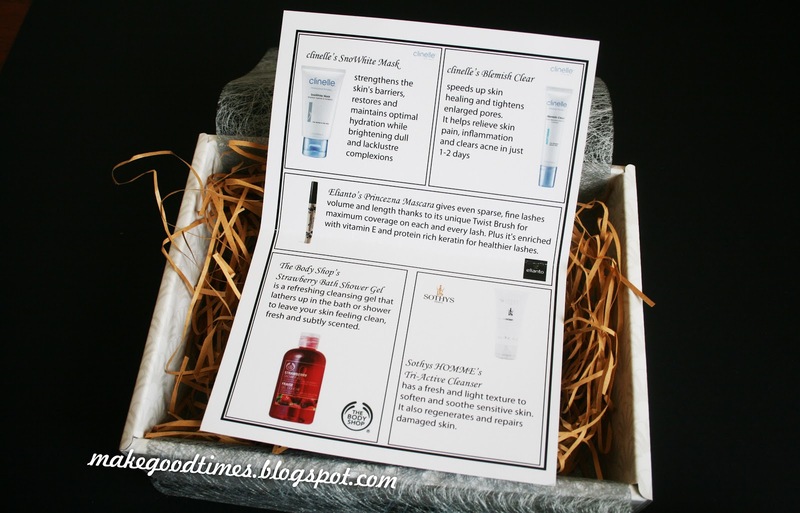 Description card of the goodies in the WonderBox October 2012 DEBUT Edition! 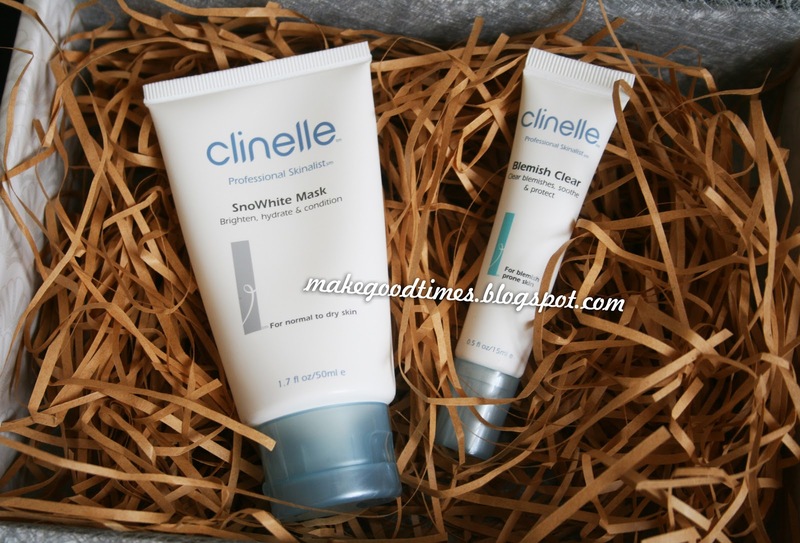 a Product voucher, and a Facial Discount! This rinse-off mask is used to strengthen the skin's barriers, restore and maintain optimal hydration while brightening dull and lacklustre complexions. The gel is used to speed up skin healing and tightens enlarged pores. It also helps to relieve skin pain, inflammation and clears acne in just 1-2 days. I've always been a loyal fan of Clinelle's Deep Cleansing Gel as a cleanser so I was quite happy to receive these two full-sized Clinelle products! Gives even sparse, fine lashes volume and length thanks to its unique Twist Brush for maximum coverage on each and every lash. Plus it's enriched with vitamin E and protein rich keratin for healthier lashes. Elianto Princezna Mascara has a unique twist brush (which apparently gives maximum coverage on each and every lash). It's made in Korea. A refreshing cleansing gel that lathers up in the bath or shower to leave your skin feeling clean, fresh and subtly scented. 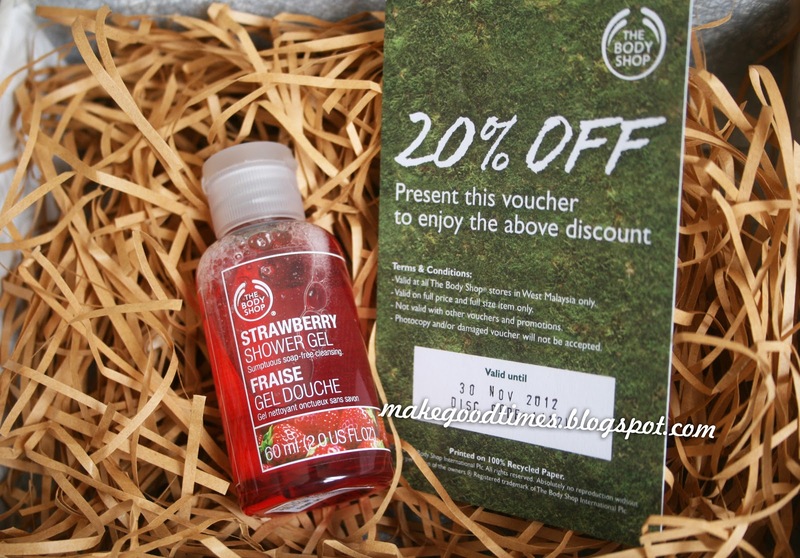 I don't know anyone who hasn't tried The Body Shop's famous shower gels. Unfortunately my skin is rather sensitive to their gels so I think I'll give this to my friend.. This cleanser has a fresh and light texture to soften and soothe sensitive skin. It also regenerates and repairs damaged skin. 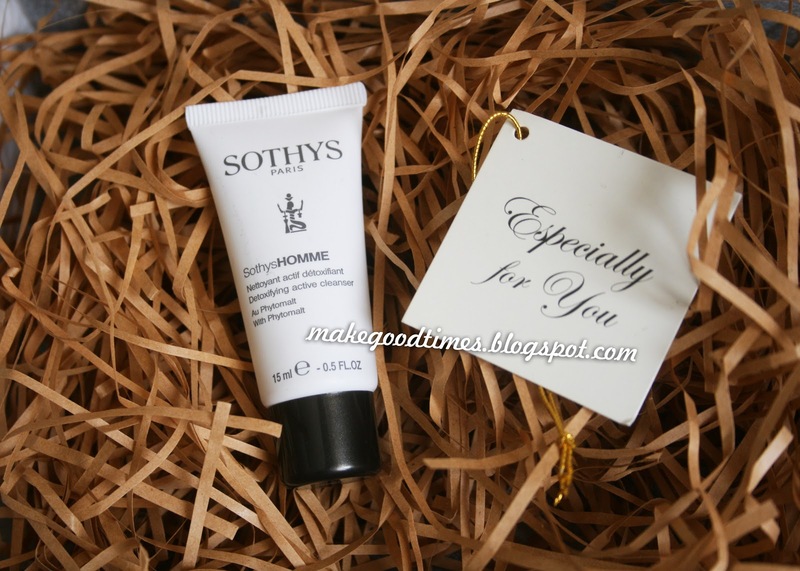 Sothys products have always been very expensive. I was really surprised to have found this in my WonderBox! When I scanned the code, it showed a voucher!!
" Scan & Show this QR Code at any 128 Faubourg Salons. Enjoy 1 Hydra Active Care worth RM79 & Hydro Cooling Eye Treatment worth RM90"
TOP : Products boxed up! I'm sure these products from my Wonderbox will be put into good use. Thank goodness it didn't come with something like wrinkle creams or eye masks lol. The amount I paid for was definitely worth it for the products given. 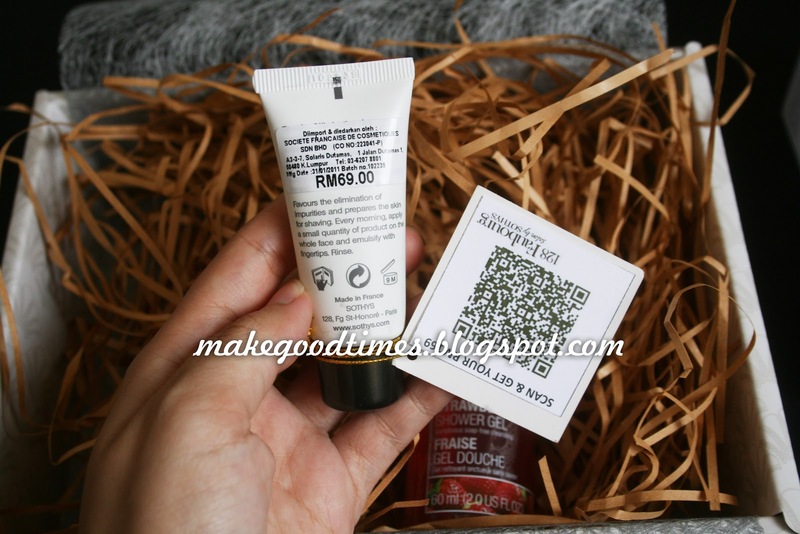 I think the products in my Wonderbox probably amounted to over RM200++. Want to receive these lovely surprises at your doorstep now? Click * * * HERE * * * to subscribe. Can't wait to open mine..